Official Disney / Pixar Toy Story Pizza Planet sneakers are here, and you don't need to to be an employee or get lucky at a claw machine to own them. They're available at Hot Topic right now in men's sizes 7 to 13. If you order them online, you can also get them for $31.92 (20% off) while the sale lasts. Keep in mind that shipping is free on orders of $50 or more, so you might want to check out their entire Toy Story collection for more options (most of them include the online only 20% discount). 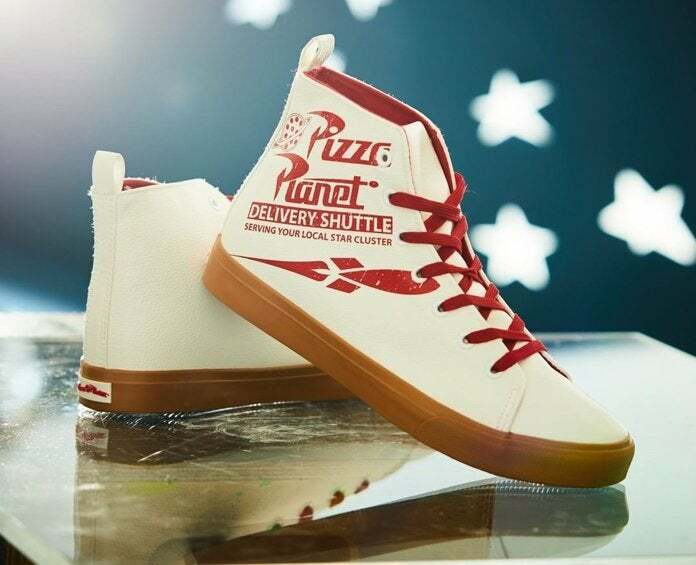 This Pizza Planet hoodie and t-shirt would certainly match well with the shoes. 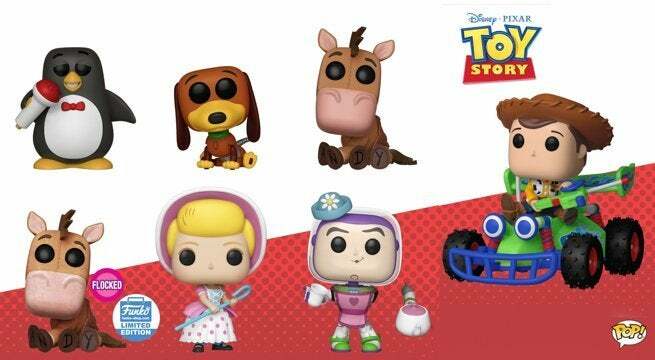 On a related note, Disney / Pixar's Toy Story 4 is set to hit theaters on June 21st, and Funko is getting the merchandising machine warmed up with a new wave of Pop figures, Pop Rides, and Pop Keychains from the previous films! The entire wave of new Toy Story Funko merch is available to pre-order right here. We highly suggest going after the Woody with RC Pop Rides figure first, as that will likely be the hottest item of the bunch. Beyond that, you'll find Pop figures of Wheezy, Slinky Dog, Buzz dressed as Mrs. Nesbitt (yes! ), Bullseye, and Bo-Peep. Could Marvel Take Top Two Spots at Box Office With 'Avengers: Endgame' Giving 'Captain Marvel' a Lift?